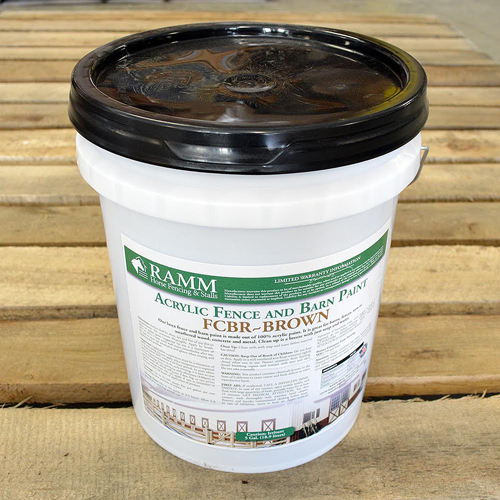 Our brown latex fence & barn paint is made out of 100% acrylic paint. It's great for barns, fences, new or weathered wood, concrete, and metal. It's highly visible and cleanup is a breeze; just use soap and water. - This paint last a long time! Mike P.
- Best paint ever.... easy on and doesnt chip or fade! !